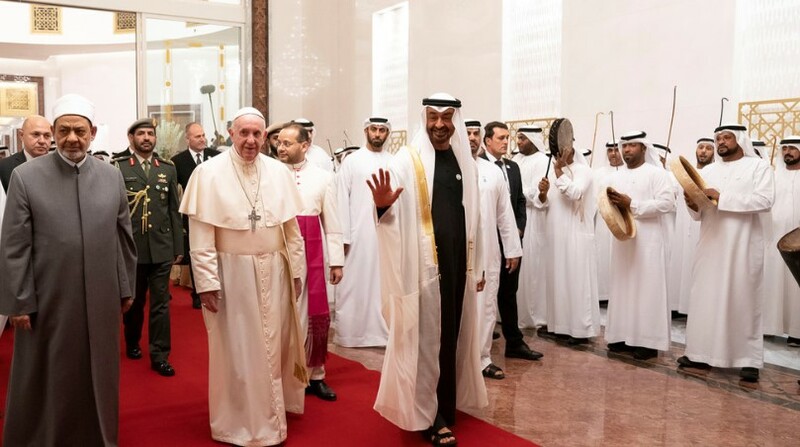 The Emirates have rolled out the welcome mat for Francis, who was greeted by Abu Dhabi’s Crown Prince Sheikh Mohammed bin Zayed al-Nahyan and his entourage on Monday. The pontiff arrived with a delegation of clerics and was presented a bouquet of flowers. The papal visit, a first of its kind to the Islam-dominated Arabian Peninsula, will continue on Tuesday with a much-awaited mess for about 135,000 Catholics. Top UAE officials and Muslim religious leaders are expected to attend it.